Prices vary according to period and area covered. Cheaper prices for young people 16 – 25, and over 60. Adults and over 60’s can take one child free. Extra children half price. Different types of pass cover different periods – e.g. 4, 8 or 15 days. The pass gives free travel, but there may be restrictions regarding times and particular services. If you wish to do much traveling, they can be a real money saver. These passes CANNOT be bought in Britain. More details in the booklet ‘TOURIST TICKETS AND DISCOUNT CARDS’ published by the British Tourist Authority. Other types of ‘Rover’ tickets giving unlimited travel in certain areas, can be bought at UK railway stations. Details available at railway stations, and Tourist Information Offices. Most main railway lines start in London, so to travel through London often means that you have to change stations. This is best done on the ‘underground’ trains system. If you have booked a ‘through ticket’, underground travel between two London stations are often included free. However, there are times when it may be cheaper to buy two separate tickets for each part of the journey. 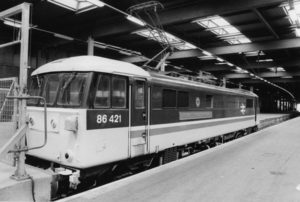 The situation is more complicated now because British Rail has been ‘privatized’ and different companies operate different train services. On Sundays, there are fewer trains, and some smaller towns may not have a train service on Sundays. Railtrack Ltd now offers an online timetable inquiry service. You enter the start and finish stations for your journey, date and time of travel, and are quickly given a list of England train times. Prices are not given. When traveling at weekends, or busy holiday times on popular routes, it is sensible to reserve a train seat in advance. If you are traveling by train through Europe to reach Britain, or just wish to travel around Europe, there are many Multi-country rail passes which can save money. Check out this site, or ask your travel agent. There are many discounts, including for students and young people, or for a second person in a party of two. This is a good site explaining different youth discounts, bonuses, and rail passes for rail travel in Europe. Their site also gives advice on rail travel, European subway maps and prices, and more. They supply rail passes to the North American market.